Tokyo has returned to the biennial Copenhagenize Bicycle Friendly Cities Index in position 9 after having been ejected from the 2015 ranking of the most thriving cycling cities around the world. Ranked 4th in 2011 and 12th in 2013 Tokyo slipped from the rankings in 2015 primarily due to local authorities regressive stance regarding cycling policy. While cities around the world had embraced cycling and placed it firmly on the agenda Tokyo literally failed to do anything to support the city's astonishing number of everyday cyclists. Conversely during the period from 2013 to 2015 cycling was painted in an increasingly bad light by local media after a high profile accident in which a 67 year old woman was killed by a cyclist after which the cyclists mother was then by the Kobe District Court to pay a record 95 million yen in compensation to the victims family. 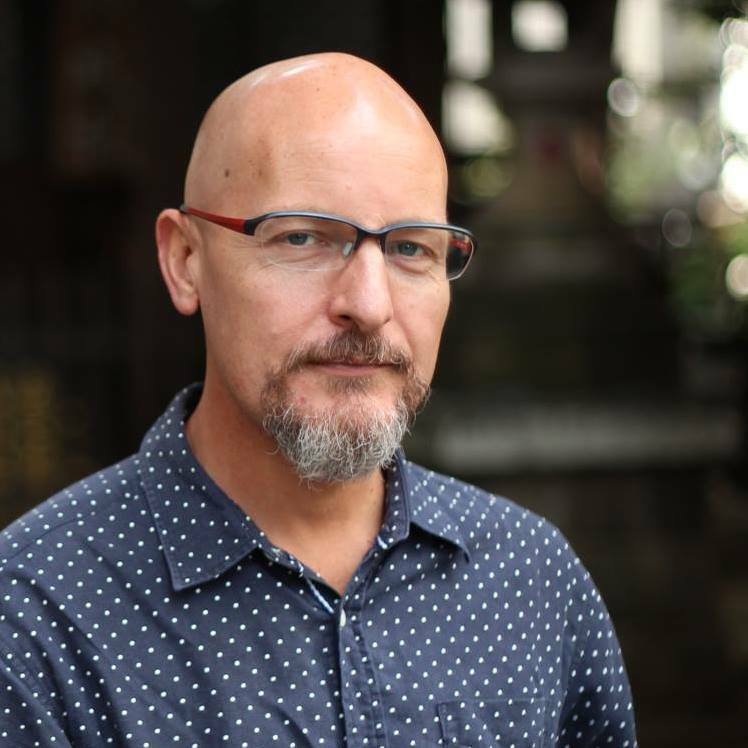 This single incident firmly set the media against cycling for an extended period with articles appearing almost weekly claiming an "alarming increase" in cycling accidents and demanding that cyclists be bound by stronger laws. Call me cynical but I believe this incident opened up a lucrative market for cycling insurance, hitherto unheard of, and that insurance companies had a vested interest in seeing that this and other "dangerous cyclist" stories never disappear from our newspapers. Many articles appearing at the time read like infomercials for lawyers and insurance companies. Not wanting to be seen as sitting on their hands the Tokyo Metropolitan Police Department began a shocking series of crackdowns on cyclists. Beginning in February 2012 police took to he streets on the 10th of each month, setting up effective roadblocks targeting cyclists for numerous offences including cycling with headphones, without brakes, and carrying passengers. A two strike policy was implemented which would see repeat offenders sent to cycling safety courses at their own expense. The helmet debate was reignited and an "expert panel" was charged with investigating the notoriously impractical idea of bicycle number plates. Even the announcement in September 2013 that Tokyo would host the 2020 Olympics and that a network of cycling paths was being planned for the city could not turn the negative tide of publicity against cycling. It was indeed a bleak time for cycling not only in Tokyo, but all around Japan. Despite the events of those years and the lack of action by Japanese authorities it is undeniable that Tokyo's 15% modal share for cycling (Up to 30% in some neighborhoods) is a monumental statistic for a modern mega city which already boasts one of the worlds greatest networks of clean, safe and punctual trains and subways. Also despite the lack of dedicated cycle paths Tokyo proves once and for all that good urban design, even without cycling lanes, can greatly increase the number of cyclists. Tokyo's compact neighborhoods contain all the shopping and amenities for daily life all within a short ride from home. Narrow shopping streets closed to traffic rather than sprawling distantly located shopping malls make cycling the most logical form of transport for short journeys around the neighborhood. In fact the average trip distance by bicycle in Tokyo is under 2.5km which demonstrates how the bicycle is used for shorter journey's where it makes sense and that cycling complements rather than competes with the rail network to which Tokyo's residents, the majority of whom do not own cars, naturally turn to for longer journeys. 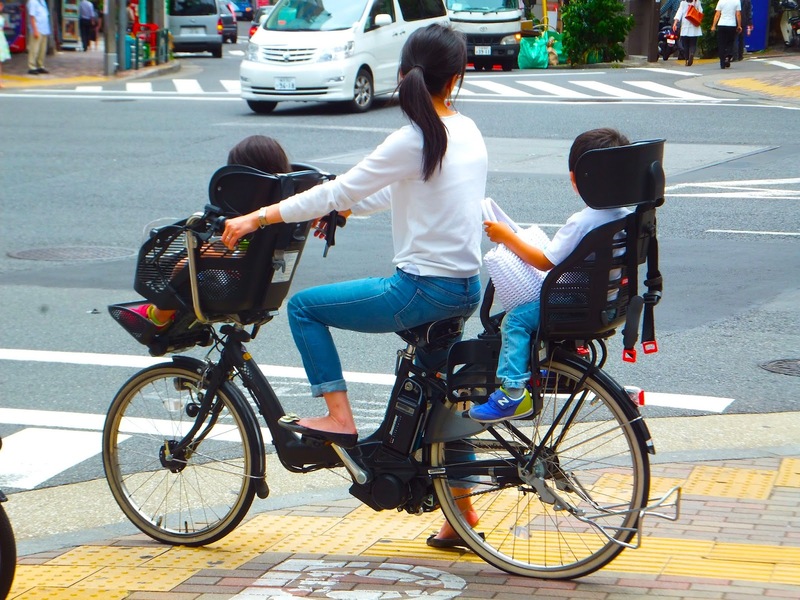 Despite inaction, demonizing of cycling in the media, a lack of cycling infrastructure and authorities heavy handed treatment cycling in Tokyo continues to thrive. Cycling thrives in Tokyo because it makes sense as the best form of transport for short journeys, it thrives because neighborhoods are compact and self contained, it thrives because the cost of private car ownership far outweighs the perceived usefulness, it thrives because it complements existing transport networks, but above all it thrives because it is part of the culture, an almost subconscious activity as normal as putting on your shoes. Some cities have been ranked in the survey because of their forward thinking cycling policies, some because they implementing wide ranging cycling infrastructure, others because of a rising wave of cycling activism. Tokyo on the other hand is a paradox, without any of these things cycling numbers are insanely high among all sectors of the population including women and children. Cycling is not only practical and safe but also surprisingly easy and enjoyable when you start riding like a local. All cities and their residents are wonderfully unique, and what is required to cultivate a great cycling culture in one may not be necessary in another. In Tokyo, cycling just works which is why it's 9th place in the Copenhagenize Bicycle Friendly Cities Index is well deserved. These are two sad, infuiating stories. Obviously, something is missing in charter bus training. Sad, when the penalty for parking exceeds the penalty for running someone over. How is it possible to place Tokyo on the 9th place? I live here for many years and I don't agree that Tokyo is a bike-friendly city. It is not. Around 90% of the bicycles here ride on the sidewalks, constantly bullying pedestrians and causing danger. Yes, there is a huge number of "cyclists" in Tokyo, but riding on a sidewalk with a speed of a pedestrian is not how it should be. Why they don't ride on the roads? Because they are afraid of being hit by a car, a truck, an opening door, because there are no real bike lanes here. Sometimes I see something that is resembling a bike lane - a really narrow stripe, only painted and not separated from the road, and this stripe is always occupied by cars, illegally parked with their hazard lights on (Japanese police does absolutely nothing to get them out of the way or punish them). Tokyo should be excluded from that list because this is a very hostile city for the cyclists, and the local government does nothing to improve the situation. Aw, this is too bad. I've wanted to live in Tokyo for a while. Sad that I won't be as free to ride my bike there. I live in Amsterdam and it's probably one of the most bike-friendly cities. But there are a lot of other cool things to do and see in Tokyo, I'm sure. You should proably try to ride in Varna, Bulgaria. It should be the worst bike-friendly city in the world. Anyways , it's too bad that Tokyo slip so much in this competition. I have biked along more than 10 cities in The Tokyo. The whole place is suitable for biking and there is no reference about it. I live in Texas, it is likely that the bike lane suddenly ends and you have no idea what to do next. I can see that a lot are saying Tokyo is not bike friendly at all. 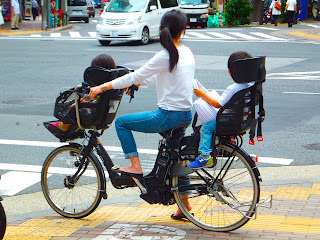 Nevertheless, biking is the most convenient way of transportation in Tokyo.